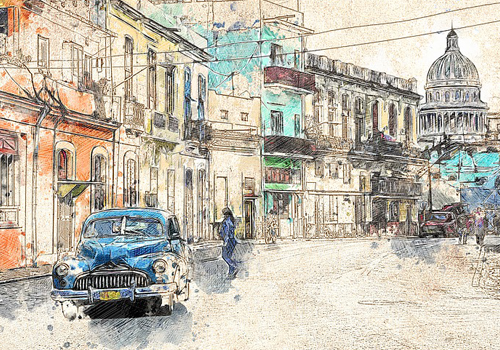 In this circuit we visit the most representative architectural works of Havana’s modern and contemporary periods. The opportunity to tour the city by vintage cars from the 50s, allows us to enter from the beginning, in the atmosphere of those years and make us travel back in time. Pick up at Villa Royal-Departure for Havana. Arrival at the Morro-Cabaña colonial fortification complex, consisting of the Castle of the Three Kings of the Morro (XVII century), and the Fortress of San Carlos de la Cabaña (XVIII century), the largest military building built by Spain in America. Both with extraordinary panoramas of the Havana coast, harbor a culturally active life. Today, the fortifications system of the city and the historic center have been designated a World Heritage Site by UNESCO. Visit to the Havana fortifications the Castle of San Salvador de La Punta (1589 – 1630) and the Castle of the Royal Force of Havana (XVI century), where you can admire La Giraldilla, the oldest bronze sculpture in Cuba, currently the symbol of the city of Havana. Visit to Havana’s historic center. Taking advantage of the proximity between the squares, we take a walk through the five most important plazas of the colonial period: Plaza de Armas, Plaza de San Francisco, Plaza Vieja, Plaza del Cristo and Plaza de la Catedral. During the tour you can stroll around and discover, among the cobblestone streets, the mansions, small palaces and other buildings of the nobility of the time. Lunch at a restaurant suggested by MAC. Guided tour by a specialist in Art History of the National Museum of Fine Arts, Cuban Art collection. The museum, in all its extension, houses one of the largest collections of paintings and sculptures in Latin America and the largest in the insular Caribbean. Visit to a painter’s Studio-Workshop. Departure for Villa Royal. (45 min). Departure from Villa Royal. Trip in a vintage car from the 50s. Tour of the malecón habanero (Havana sea wall) from where you can enjoy the eclectic and modern buildings of the city. 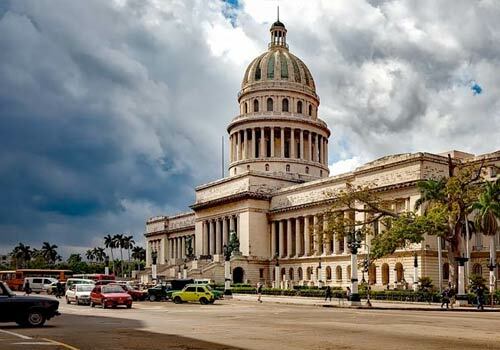 We take Paseo Avenue, one of the most representative arteries of Vedado habanero (Vedado neighborhood), to reach to Plaza de la Revolución (Revolution Square), where you can also see the majestic public buildings of modern monumental style such as the Library and the National Theater. Coordinated visit to La Necrópolis de Cristóbal Colón (Cristopher Columbus Cemetery), designated a National Monument of Cuba and a World Heritage Site. Its large number of sculptural and architectural works is the reason why many experts place it as the second of world importance, preceded only by Staglieno’s Cemetery in Genoa, Italy. Visit to an antique shop, where you will have the opportunity to purchase authentic and various objects of the time. Tour of the houses of the modern movement in Havana, where the greatest exponents of Cuban modern housing can be appreciated, designed by the most prestigious architects of the time, such as Ricardo Porro, Mario Romañach, Max Borges, Frank Martínez, Fernando Salinas, among others. Lunch suggested by MAC (Vistamar restaurant). Coordinated visit to the National Art Schools (ENA). 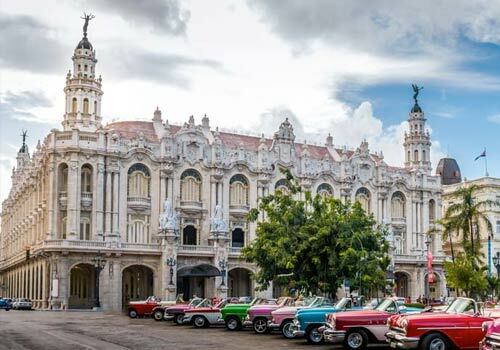 A jewel of Cuban architecture, these schools have been considered as one of the most unique architectural experiences of the second half of the 20th century, which makes them a must for all architecture lovers. There, the Modern Dance School and the School of Plastic Arts designed by the Cuban architect Ricardo Porro, the School of Performing Arts by the Italian architect Roberto Gottardi and the schools of Ballet and Music by the Italian architect Vittorio Garatti can be appreciated. Visit to Fábrica de Arte (FAC), created by the musician and composer X-Alfonso. This is an integrating cultural space where all the artistic manifestations coexist harmonically showing the best of Cuban contemporary art. Departure for Villa Royal (45 min).